Vishal launches face book page on Save Cattle stop killing cows, supported by MOP college students. Vishal planted 6 saplings inside the premises MOP Vaishnav College in Chennai. His initiative marked to create more awareness on Go Green. Later Vishal and director Suseeindran participated in a workshop on acting and direction for media students of MOP Vaishnav College. 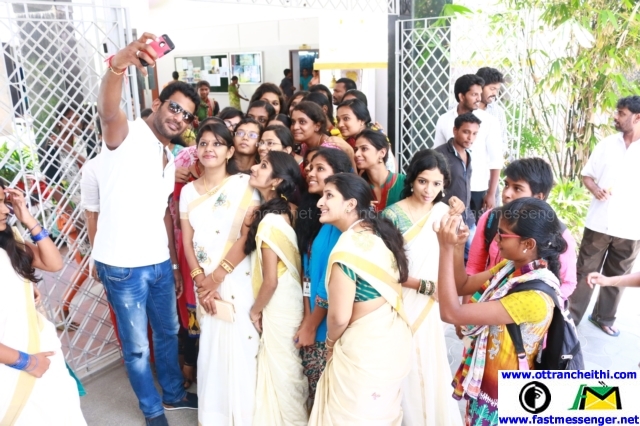 After the workshop was over, Vishal took few selfies along with the students.